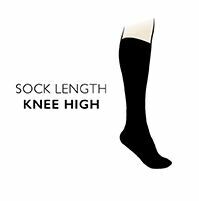 Designed by Thorlos, the US sports sock specialist, Thorlos Kids Snow Socks are specifically made to protect young feet during all kinds of snow activities. The exclusive THOR•WICK® yarn maximises the moisture wicking abilities of the sock, because a dry foot is also a warm, healthy foot. Strategically placed padding puts protection exactly where it is needed, with moderate cushioning in the ball and heel areas providing warmth, shear protection and comfort, while thinner cushioning placed at the arch and instep, and on the shin guards against from boot pressure and improves the fit.